Here are some snazzy birthday facts about 14th of August 1972 that no one tells you about. Don’t wait a minute longer and jump in using the content links below. Average read time of 10 minutes. Enjoy! What day was my birthday Aug 14, 1972? August 14, 1972 was a Monday and it was the 227th day of the year 1972. It was the 33rd Monday of that year. The next time you can reuse your old 1972 calendar will be in 2028. Both calendars will be exactly the same! This is assuming you are not interested in the dates for Easter and other irregular holidays that are based on a lunisolar calendar. What day is August 14 this year? There are 117 days left before your next birthday. You will be 47 years old when that day comes. There have been 17,049 days from the day you were born up to today. If you’ve been sleeping 8 hours daily since birth, then you have slept a total of 5,683 days or 15.56 years. You spent 33% of your life sleeping. Since night and day always follow each other, there were precisely 577 full moons after you were born up to this day. How many of them did you see? The next full moon that you can see will be on April 19 at 11:14:00 GMT – Friday. Fun stat: Your first one billion seconds (1,000,000,000) happened sometime on April 22, 2004. If a dog named Saphris - a Dandie Dinmont Terrier breed, was born on the same date as you then it will be 204 dog years old today. A dog’s first human year is equal to 15 dog years. Dogs age differently depending on breed and size. When you reach the age of 6 Saphris will be 40 dog years old. From that point forward a small-sized dog like Saphris will age 4 dog years for every human year. View the complete list of August 14 celebrity birthdays. Who are the famous August 14 birthdays? Here’s a short list of famous people in history who were born on Aug 14. View the complete list of August 14 famous birthdays. 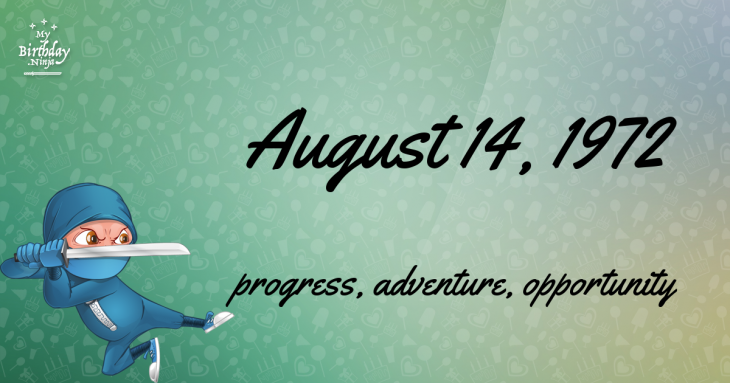 What happened on my birthday – Aug 14th? Count Adolf VIII of Berg grants town privileges to Düsseldorf, the village on the banks of the Düssel. The United Kingdom formally annexed the Tristan da Cunha archipelago, administering them from the Cape Colony in South Africa. American Indian Wars: Second Seminole War ends, with the Seminoles forced from Florida to Oklahoma. An audio recording of English composer Arthur Sullivan’s “The Lost Chord”, one of the first recordings of music ever made, is played during a press conference introducing Thomas Edison’s phonograph in London, England. France becomes the first country to introduce motor vehicle registration. United States Senate leaders agree to rotate the office of President pro tempore of the Senate among leading candidates to fill the vacancy left by William P. Frye’s death. U.S. Marines invade Nicaragua to support the U.S.-backed government installed there after José Santos Zelaya had resigned three years earlier. Chinese Air Force Day: The beginning of air-to-air combat of the Second Sino-Japanese War and World War II in general, when six Imperial Japanese Mitsubishi G3M bombers are shot down by the Nationalist Chinese Air Force while raiding Chinese air bases. Two gunmen hijacked a mail truck in Plymouth, Massachusetts, and made off with $1.5 million. Greek Cypriot refugee Solomos Solomou is murdered by Turkish forces while trying to climb a flagpole in order to remove a Turkish flag from its mast in the United Nations Buffer Zone in Cyprus. View the complete list of August 14 historical events. What does my birthday August 14, 1972 mean? 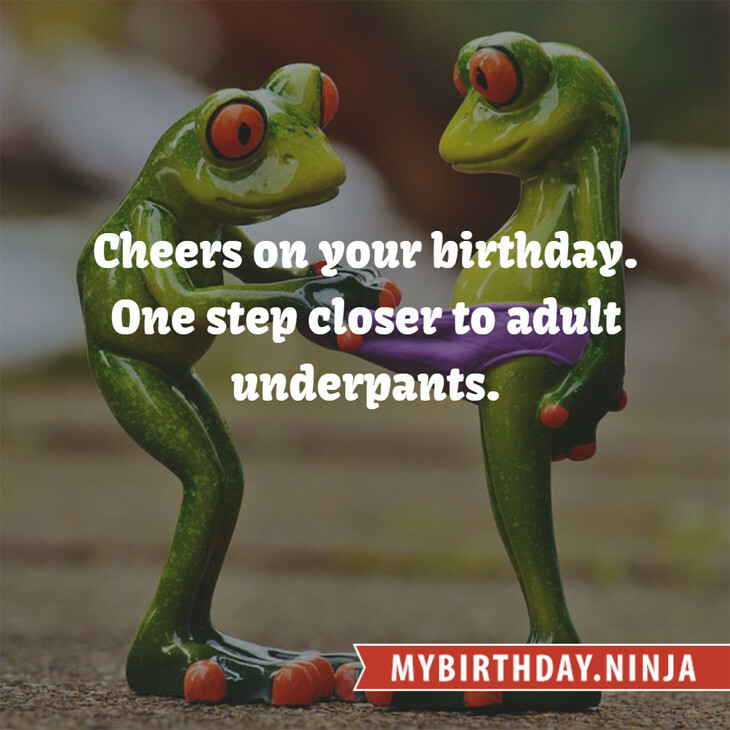 Your birthday numbers 8, 14, and 1972 reveal that your Life Path number is 5. It represents progress, adventure and opportunity. You possess the curiosity of a cat and long to experience all of life. The following celebrities also have the same life path number: Jimi Goodwin, Ronald D. Moore, Hank Williams, Louis Hayward, Mario Barravecchia, Arjen Anthony Lucassen, Martin Shaw, Ryōka Yuzuki, Bette Midler, Stacy Keibler. What is the birthday horoscope for Aug 14, 1972? The Western zodiac or sun sign of a person born on August 14 is Leo ♌ (The Lion) – a fixed sign with Fire as Western element. The ruling planet is Sun – the center of our universe. According to the ancient art of Chinese astrology (or Eastern zodiac), Rat is the mythical animal and Water is the Eastern element of a person born on August 14, 1972. What is the birthstone for August 14? Fun fact: The birth flower for 14th August 1972 is Poppy for preparedness. What is the Love Match for Aug 14, 1972? When it comes to love and relationship, you are most compatible with a person born on October 6, 1955. You have a Love Match compatibility score of +128. Imagine being in love with your soul mate. On the negative side, you are most incompatible with a person born on March 11, 1989. Your incompatibility score is -120. You’ll be like a cat and a dog on a love-hate relationship. Arf-arf, I want to bite you. Meow-meow, stay away from me! What is a good birthday trivia for August 14? The number-one hit song in the U.S. at the day of your birth was Alone Again (Naturally) by Gilbert O’Sullivan as compiled by Billboard Hot 100 (August 19, 1972). Ask your parents if they know this popular song. I do not know how you feel about this, but you were a male ♂ in your last earthly incarnation. You were born somewhere around the territory of USA South-East approximately on 675. Your profession was sailor, shoemaker. How many babies were born on August 14, 1972? Base on the data published by the United Nations Population Division, an estimated 121,907,602 babies were born throughout the world in the year 1972. The estimated number of babies born on 14th August 1972 is 333,081. That’s equivalent to 231 babies every minute. Try to imagine if all of them are crying at the same time. What is the popular baby name on 14 Aug 1972? What’s your bizarre Florida Man story? The #FloridaManChallenge is breaking the Internet and social media. Some crazy men, women, or creatures from the Sunshine State are making headlines every day of the year including your birthday. Try this fun exercise. Pick your search engine of choice and type in “florida man August 14” and see what kind of wild news headline you will get. This viral craze started in 2013 and gets resurrected now and then. The latest was from Tumblr and found its way to Twitter. As they say, the rest is history. Here’s a quick list of all the fun birthday facts about August 14, 1972. Celebrities, famous birthdays, historical events, and past life were excluded. Try another birth date of someone you know or try the birthday of these celebrities: August 15, 1985 – Leah Hackett, English actress; November 1, 1963 – Big Kenny, American singer-songwriter and guitarist (Big & Rich); February 12, 1967 – Hermione Norris, English actress.